Plenty of computer users install Ubuntu in dual boot with Windows 10. 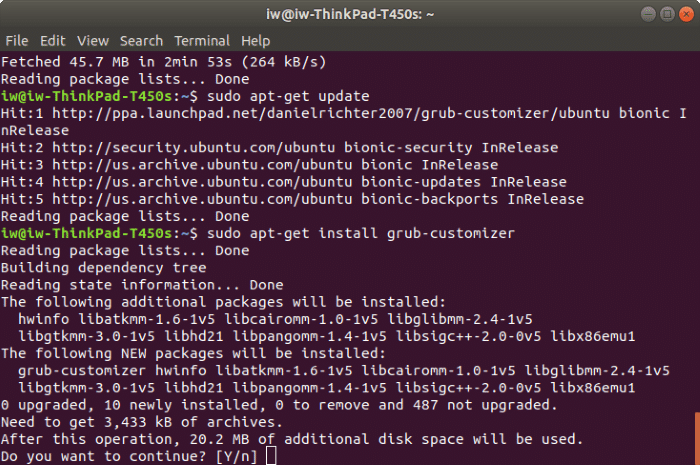 If you install Ubuntu after installing Windows 10, Ubuntu will be your default operating system. When Ubuntu is set as the default operating system, the GRUB boot loader gives you ten seconds to select Windows 10 (or the Windows Boot Manager) and boot into Windows 10 instead of the default Ubuntu. Selecting Windows 10 each time you turn on the PC becomes an annoyance if you use Windows 10 more often than Ubuntu. Like everything else, you can change the default GRUB configuration to set Windows 10 as the default operating system. 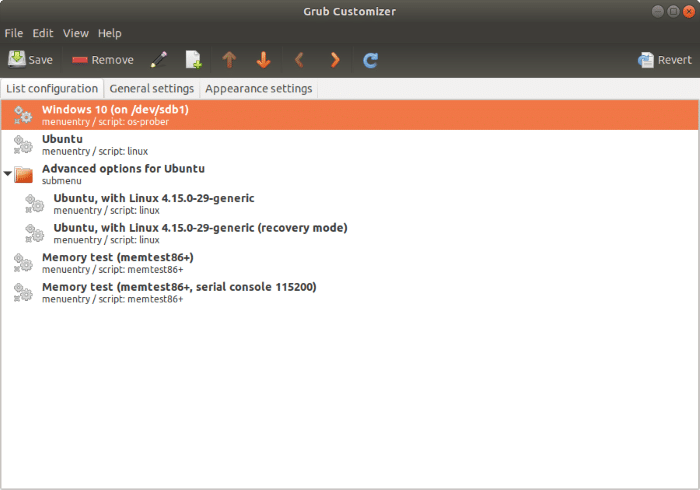 If you would like to make changes to GRUB from Ubuntu, refer to the directions in Method 2 (scroll down to see). 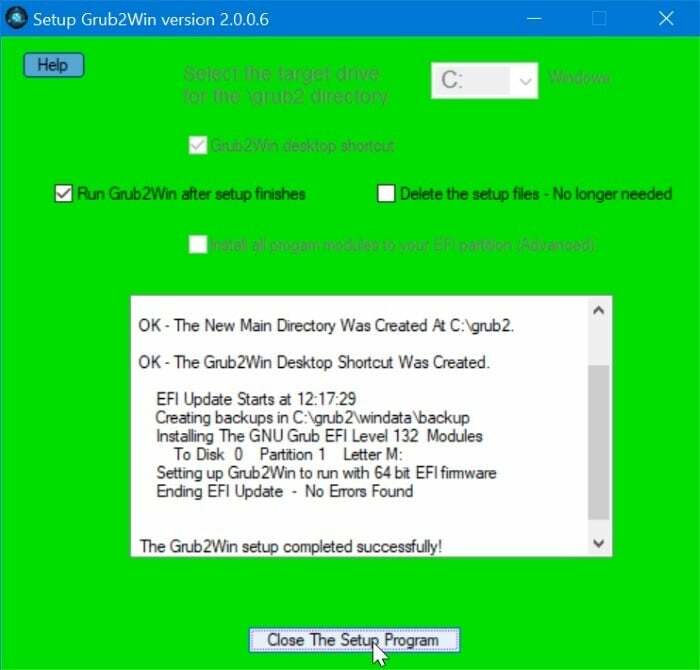 Step 1: First of all, get Grub2Win software from this official page. Extract the zip file and run the setup file. Step 2: The setup file will start downloading all the files required to install the software. 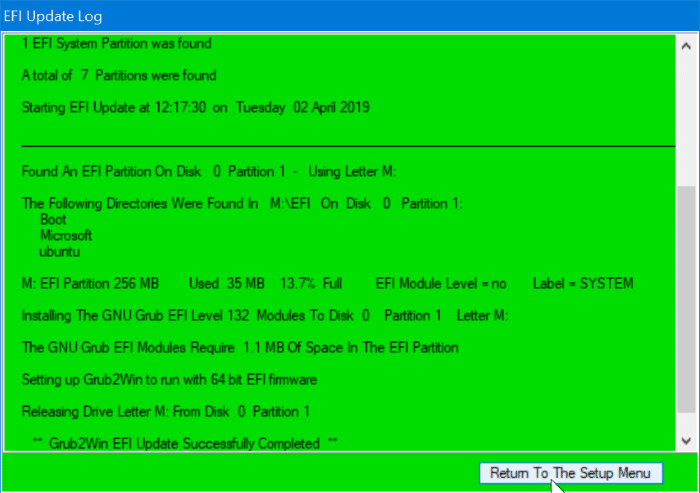 Step 3: Next, select a target partition (we recommend the “C”). Click the Setup button to proceed. Step 4: When you get the following screen, wait for Grub2Win complete the setup. Once done, click the Return To The Setup Menu button. Step 5: Click the Close The Setup Program button to close the setup window. 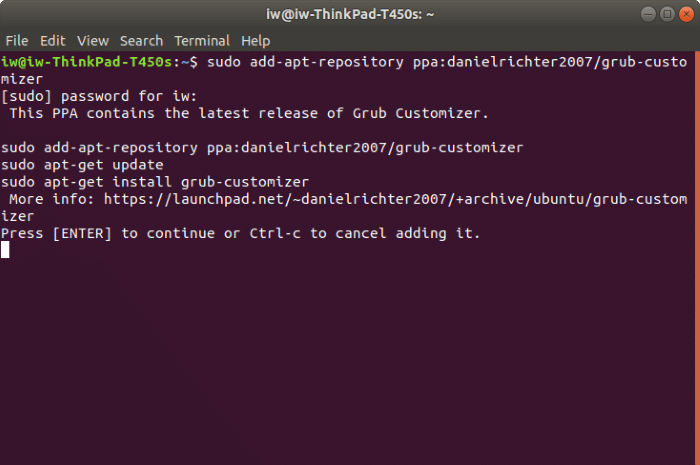 Step 6: Launch Grub2Win. 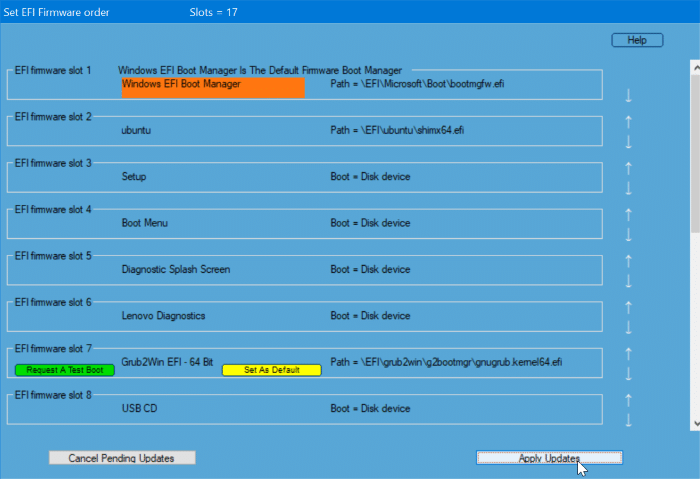 Click Set EFI Firmware Boot Order button. 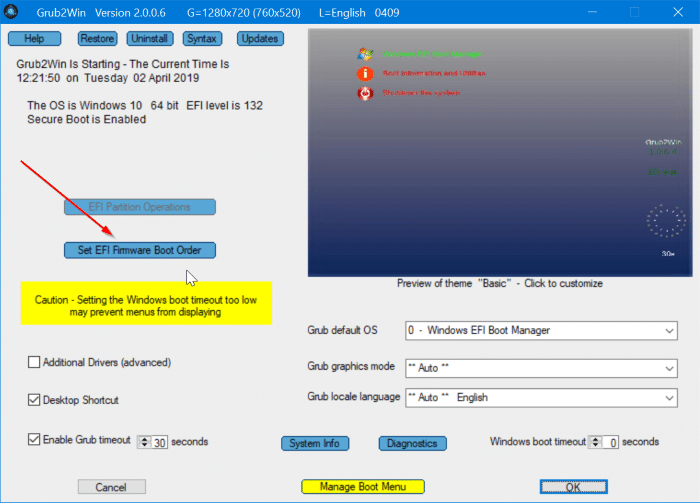 Step 7: Use the arrow icons next to Windows 10 or Windows Boot Manager entry to move the Windows 10/Windows Boot Manager entry to the top of the list and make it as the default operating system. Finally, click the Apply updates button to set Windows 10 as the default OS. When you are asked to enter the password, please do so and then hit the Enter key. Press Enter key again when you asked to do so. When you get the following “Do you want to continue?” message, press the “Y” key to continue. 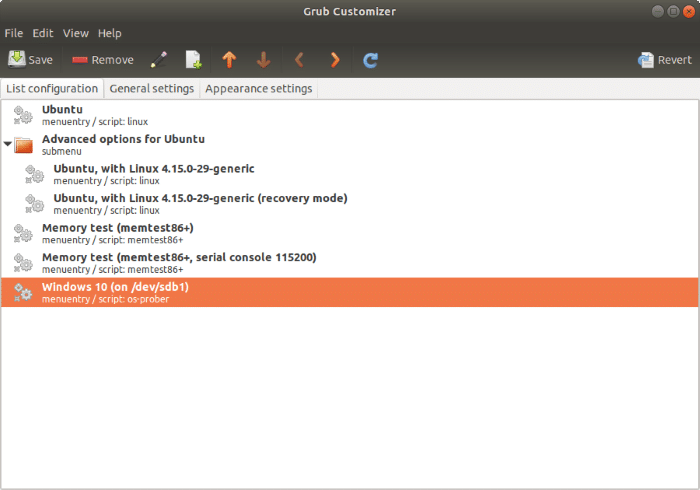 Step 4: Launch Grub Customizer using the search. Enter the account password, if asked. Step 5: Select Windows 10 or Windows Boot Manager from the list and then use the arrow keys to move the entry to the top of the list. That is, Windows 10 or Windows Boot Manager should be the first in the list. Click the Save button to save the changes. That’s it! When you restart your computer, you will see that Windows 10 (Windows Boot Manager) is the default operating system. Our how to use Ubuntu to recover Windows 10 data guide might also interest you.